Beautiful Dreamer, Your true essence is Divine Spirit. That spirit has chosen this incredible body for its temple. How will you worship at this temple? Will you lavish your body with love? Honor its needs? Meet it with unconditional joy and acceptance? Celebrate it? Acknowledge its role in accomplishing your purpose on this planet? YES. You will. 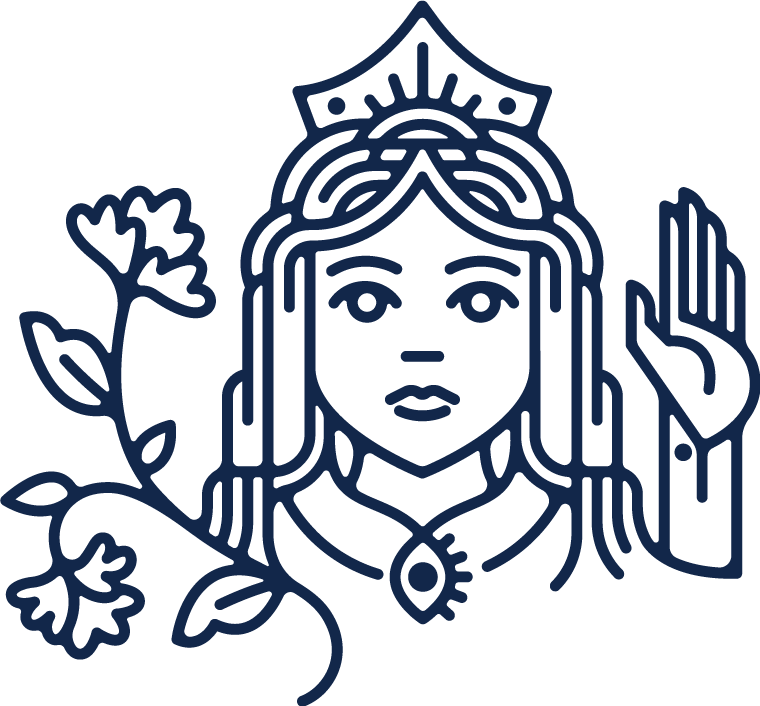 I make each batch of soaks according to the Shamanic healing tradition I practice, blending the organic and ethically sourced ingredients within a magick circle in a room purified by crystal grids and sanctified by Kabbalistic ritual. 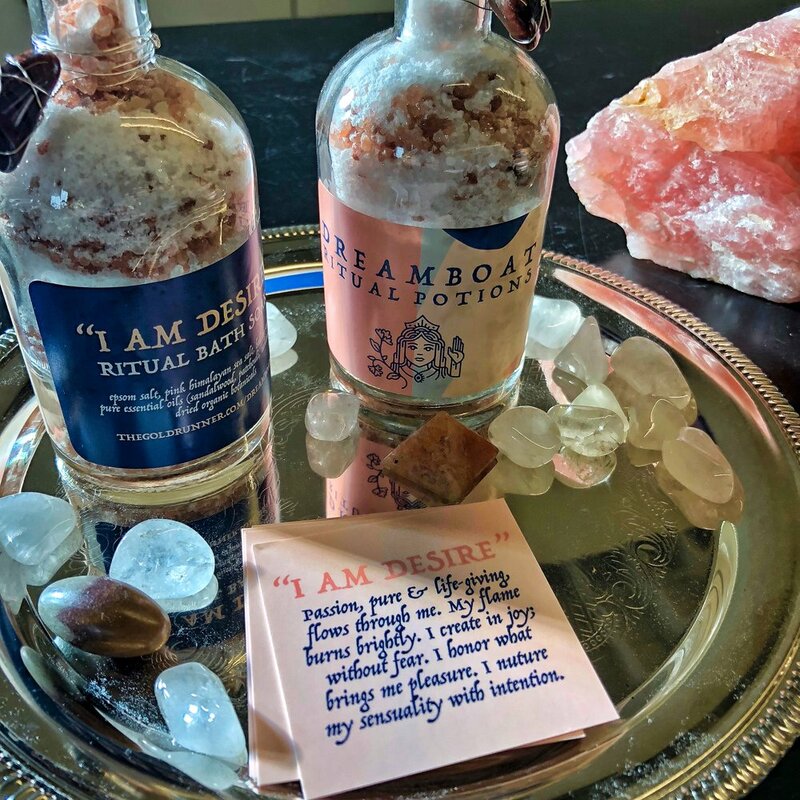 With additional wisdom drawn from the Complete Book of Baths by Kabbalist and Accompong Maroon Robert Laremy, Dreamboat Shamanic soaks hold powerful spells for removing unwanted energies and welcoming positive vibrations. Each ritual soak blend contains epsom salt, sea salt, essential oils, botanicals + crystal enhancer. Coming soon, each blend will also come with a guided meditation and sound bath recoding for download. These aromatic compounds can be used to soothe and uplift, create calm and focus - and carry a wide range of emotional and physical wellness applications. Rosemary - Bright and woodsy. Supports immune system, improves mental clarity. Jasmine - Sweet and floral. Reduces stress, balances hormones, ignites desire. Cardamom - Luscious, rich, and exotic. Detoxifies, improves mood. Sandalwood - Warm, sweet, and earthy. Soothes frazzled nerves, relieves pain. Patchouli - Musky and sweet. Grounds your energy, brings emotions into balance. Lavender - Light, floral, powdery. Soothes skin irritation. Eases tension. When I can find them, I like to include organic dried herbs and flowers to echo a blend's essential oil ingredients and provide a little dimension and texture. I work extensively with crystals in my energy healing sessions. They're incredible amplifiers, storers, and conductors of energy. With each blend, I include a crystal selected to boost the effects of its primary intention. I also indicate where (at which chakra) / to place the crystal for maximum benefit. Clear quartz crystal - Aids with restoring clarity and raising your vibration. Also amplifies the power of other crystals when used together. Red tiger's eye - Helps with manifesting desires, increasing libido, connecting higher spiritual vibrations to the physical plane.